As businesses face an increasingly stringent global regulatory climate, Dun & Bradstreet (NYSE:DNB) announced the expansion of the Know Your Customer (KYC) and Customer Due Diligence (CDD) solution D&B Onboard™ in U.S. and Canadian markets. Currently available in Europe, D&B Onboard™ integrates the company’s database of over 240 million global commercial records with compliance-specific sanction screening, giving businesses a robust view of customers from a compliance risk perspective. D&B Onboard™ is designed to help organizations streamline KYC and CDD decisions and help mitigate regulatory, reputational and financial risk in a centralized and agile workflow environment. Providing customers with access to current and relevant information, the solution lowers risk exposure by ensuring the thorough verification and screening of prospective customers. The ability to digitally document cross-functional due diligence activities gives D&B Onboard™ customers the benefit of quickly responding to auditors and regulators. D&B Onboard™ is the latest in D&B’s suite of compliance solutions, which includes Compliance Check, a global anti-corruption and bribery screening and workflow platform. The launch of D&B Onboard™ in North America reflects the company’s continued commitment to deliver innovative, global solutions that serve new customer needs and evolving market conditions. 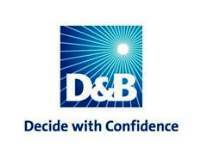 For more information about D&B Onboard™, please go to www.dnb.com/onboard.